Bed Sweet Buys: Are Bed Quilts a Thing of the Past? 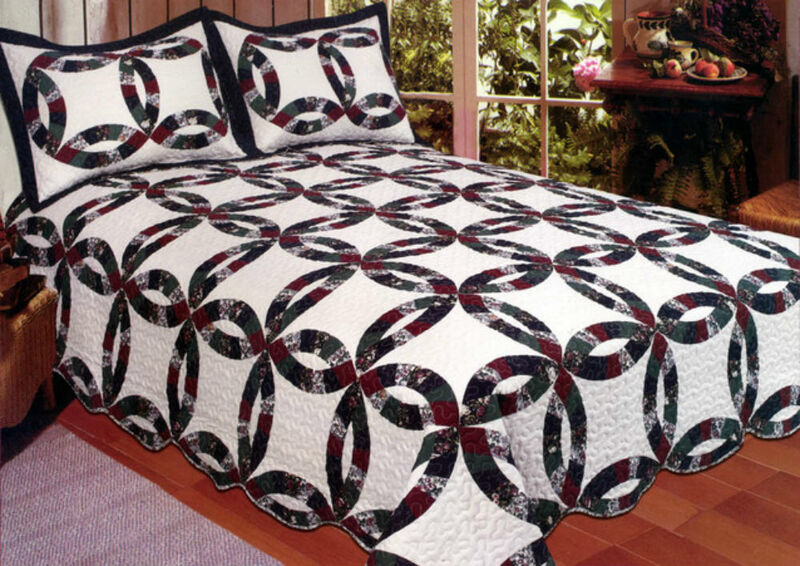 Are Bed Quilts a Thing of the Past? Your great-great grandmother hand stitched a bed quilt and now it has been handed down to you. She more than likely worked on it with other ladies in her quilting bee club. They sewed together and gossiped about the latest juicy tidbit in town. This was their day out with the girls. They may have even had more than one quilt in the works at the same time. They sewed their own clothes so from the scraps of material left over they would cut out pieces and sew them together to make the design for the quilt. So each quilt would look different with all the different pieces of material left over from their clothes, even though the pattern may have been the same. But what about today? Do ladies get together to make quilts like they did then? Personally, I don't know of any. But are people using quilts like they did then? Yes! There are many beautiful patterns that have been handed down like the Royal Wedding Ring or Morningstar patterns. This and many other gorgeous patterns sewed together in different colors and different prints can again today make each one a unique work of art. Quilts can then, of course, be a welcome change to the bedroom decor.